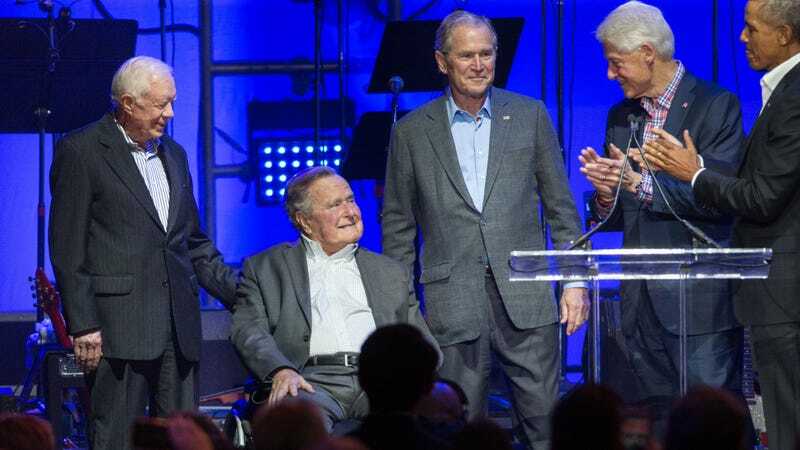 Over the weekend, all of the living former presidents teamed up at an event to raise money for victims of the recent hurricanes, and while that was certainly a step up from whatever our current president was doing (probably golf), actress Heather Lind says she “disturbed” by a photo she saw of the presidents together. That’s because she says George H.W. Bush sexually assaulted her once when she was promoting AMC’s Turn: Washington’s Spies in 2014.